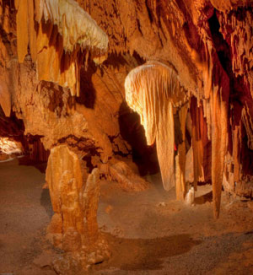 Located in the town of Grottoes, Grand Caverns is only a thirty minute drive from Stanardsville. 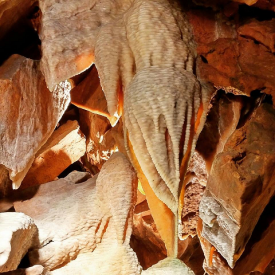 The Caverns were first discovered in 1804 by Bernard Weyer and opened for tours in 1806, making it the oldest operating tour cave in the US. 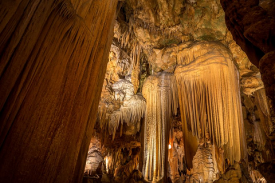 This National Natural Landmark offers guided tours of the caverns. The tours are approximately 1 mile of leisurely walking, including stairs, and last 70 minutes. Luray Caverns’ guided tours along well-lighted, paved walkways lead visitors through cathedral-sized rooms with ceilings 10-stories high. Guests will find towering stone formations and natural wonders at every turn. Shenandoah Caverns has been thrilling visitors for over 90 years. Discover a world of breathtaking natural wonders, incredible geology and extraordinary crystalline formations waiting to be admired and photographed. Let the exploration begin!